Tsurugaoka Castle (鶴ヶ岡城) is one of flat land castle located in Tsuruoka, Yamagata. The castle was built in Kamakura Period. It is known as great Sakura spot in Tohoku. The main structure was designed by Sakata Tadakatsu in 1622. It was used to be the large castle but today it only remains main bailey. 1. use JR Uetsu Line to Tsuruoka. Tsurugaoka Castle is one of flatland castle located in Yamagata. 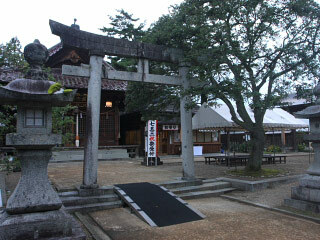 Originally, it was built by Oizumi clan in Kamakura period. Later in Sengoku period, Oizumi changed their name to Muto, but they lost the power Mogami clan. This place very important for both Mogami clan and Uesugi clan. In 1588, this place was taken over by Uesugi Kagekatsu. However, after the battle of Sekigahara, Uesugi clan lost most of their land, and Mogami clan was given this area. He decided make this place as the capital of Shonai Domain and restructured this castle. In 1622, Sakai Tadakatsu was given this land and he extended this castle and built a castle town. Today, only the main bailey and moats are remaining.